Carp are often mistaken for sucker fish. Carp are fresh water fish found throughout temperate waters. Popular targets for fisherman in Europe, carp have been a source of food for thousands of years. Though they are not aggressive fish, they are powerful for their size and can take some physical effort to reel in. 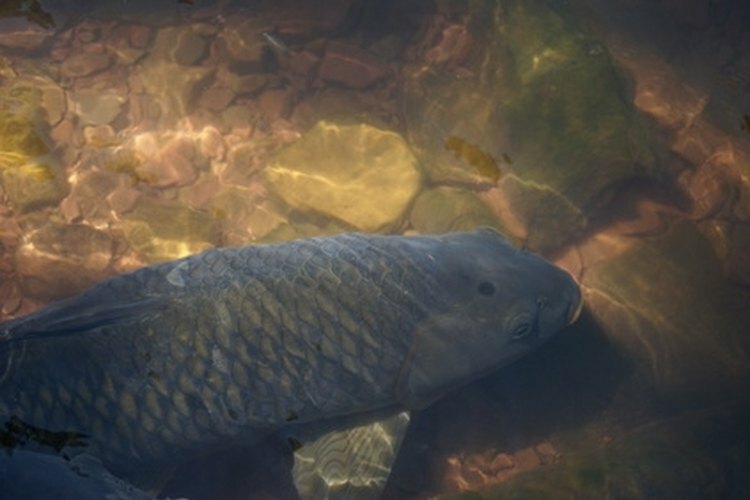 Carp are often mistaken for sucker fish, a fresh water fish famous for bottom-feeding. Similar in size and color to carp, it can be difficult to tell the difference until you get a closer look. Compare the size of the two fish. Carp grow longer and wider then sucker fish. Look at the mouths of the two fish. Carp have whiskers along the side of its mouth while sucker fish have none. Refer to the location the fish was caught. Sucker fish are native to the waters of southwest Georgia. If the fish was caught in that area it is likely a sucker fish and not a carp.